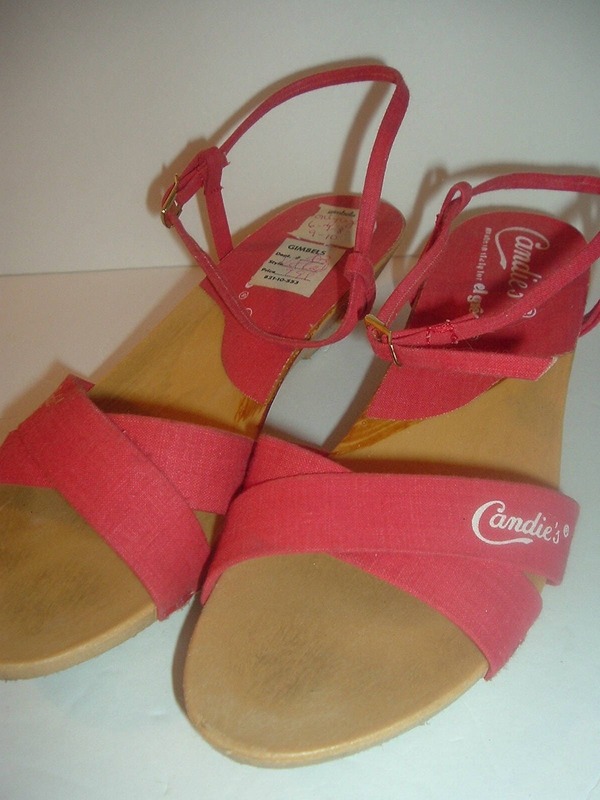 This pair of vintage Candie's women's size 6M sandals are still in good, gently worn condition. 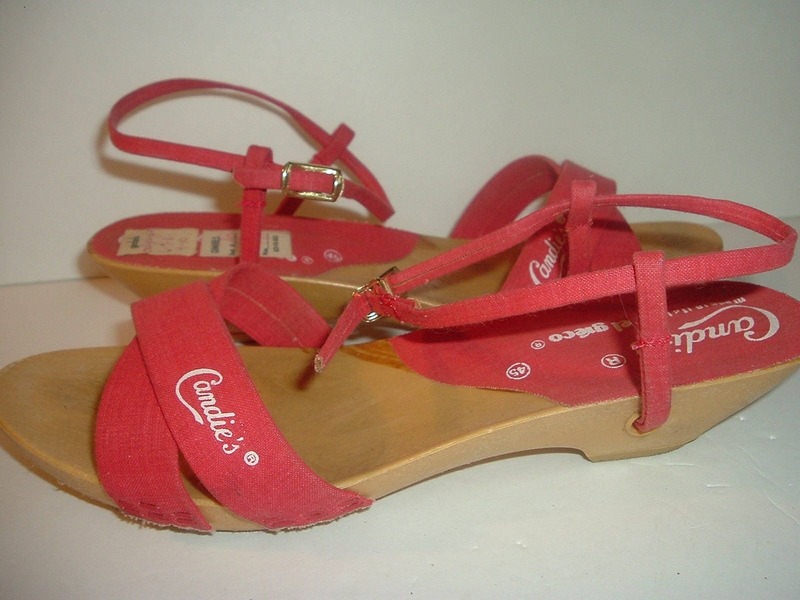 The bottoms are some kind of composition material, and the straps are a canvas-like material. 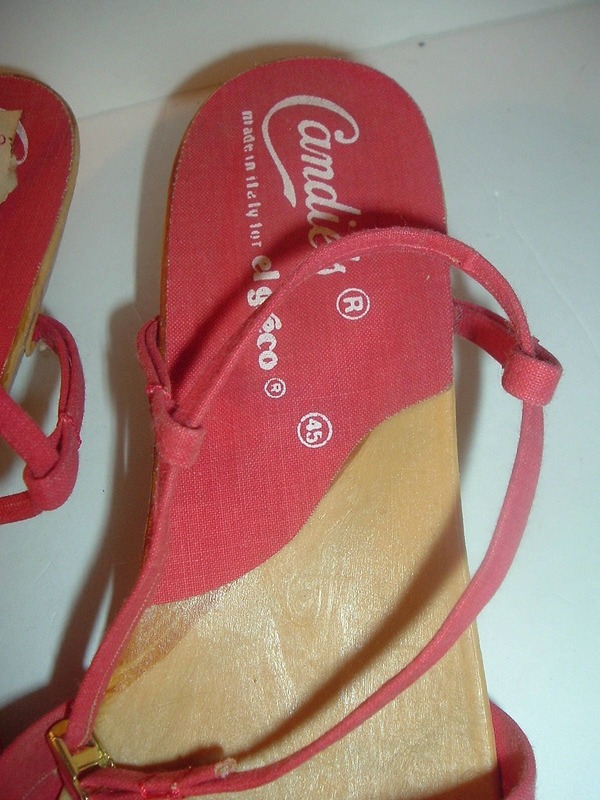 Looks like they may have been worn once or twice. 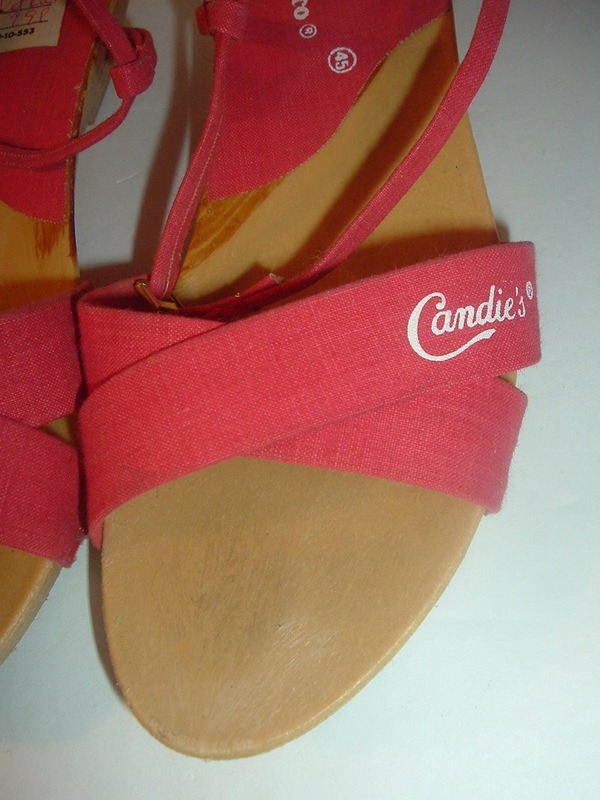 The topsides are still in good shape -- nice and clean -- the original Gimbles stickers are still in the right sandal, near the heel. 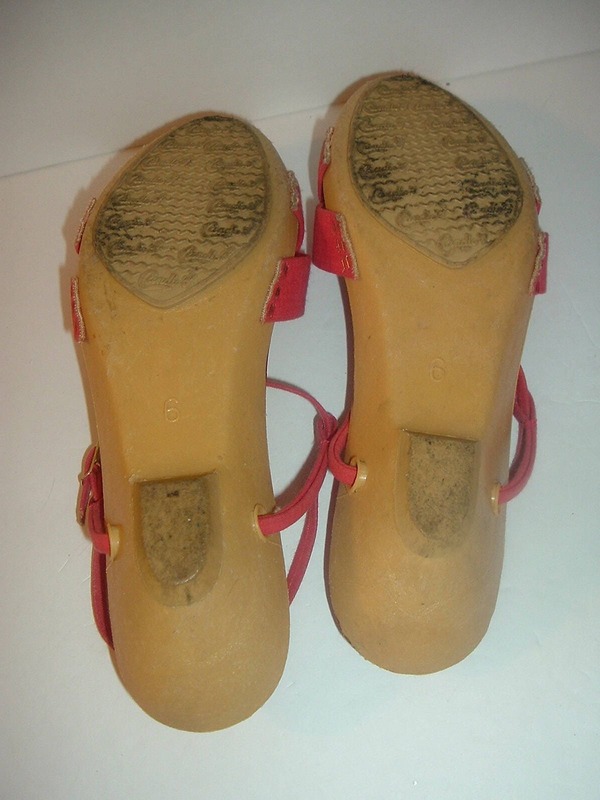 A little dirtiness on the bottom side from being worn once or twice, but there's very little wear on the bottom side. I take a 6M, and these slipped onto my foot comfortably. 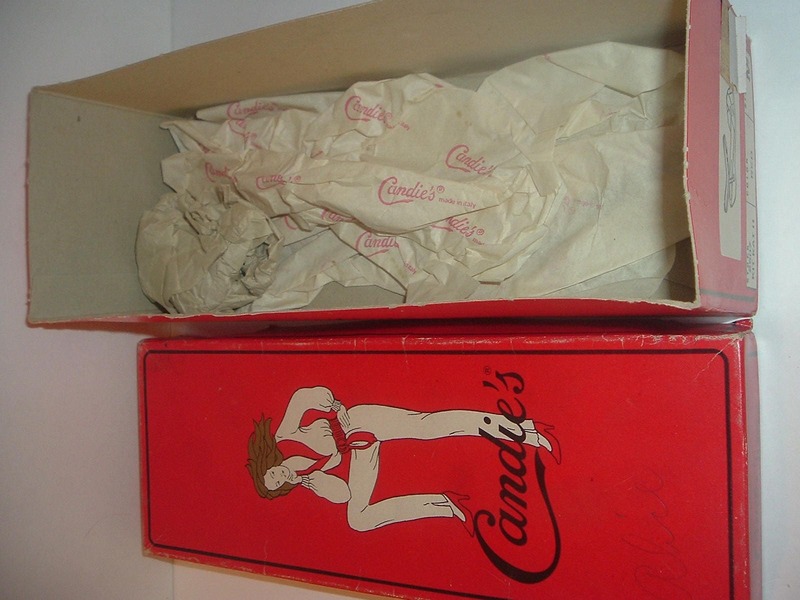 They are still with their original box -- which is also in nice shape. The stock number was 2507 Kit Kat II. 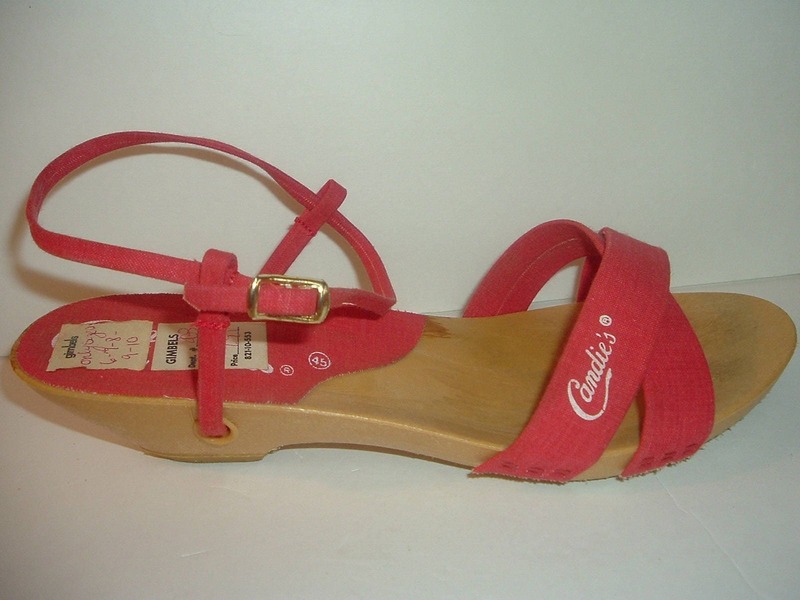 They are Candie's by el greco, Made in Italy. 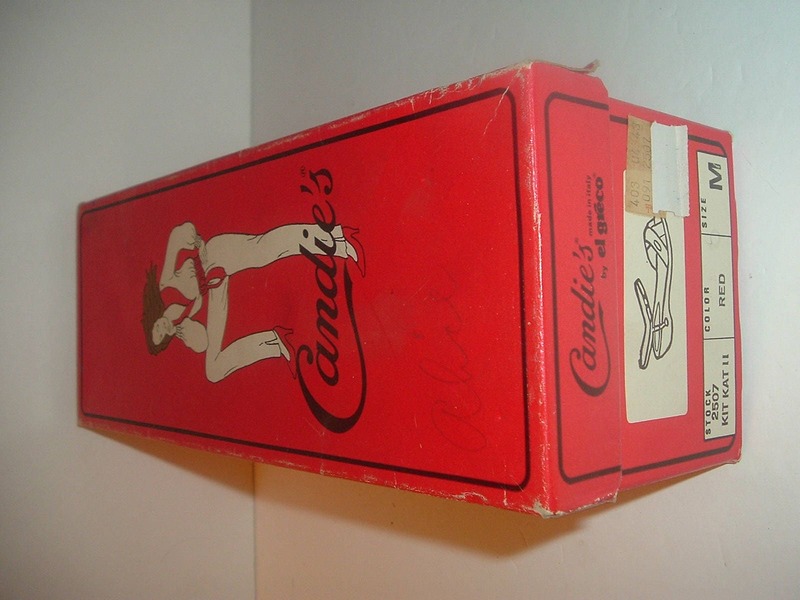 The little Candies logo is on the top strap of each. I think they're from the 1970's. 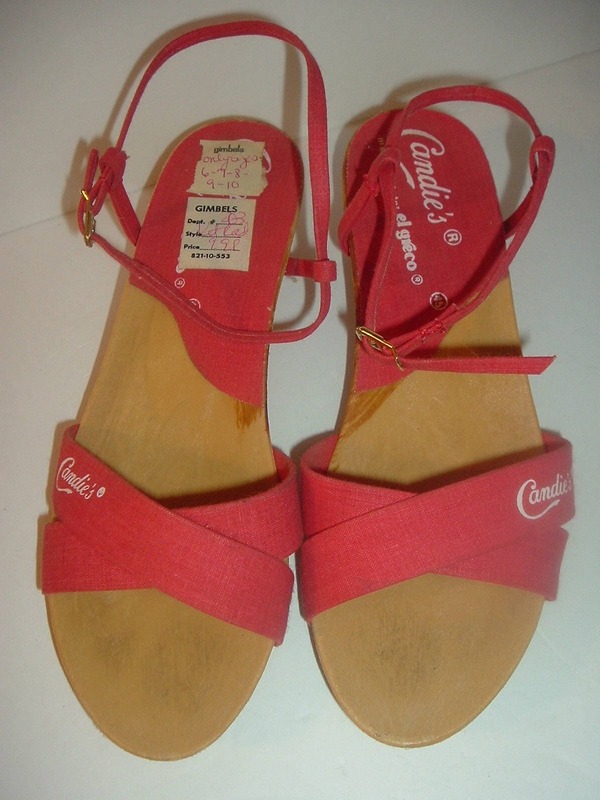 A cute vintage pair! I gladly combine shipping.